This Christmas I made hooded fleece blankets for my boys and my nieces and nephews. I used the "pill-less fleece" so that I would not have to surge the edges of each piece. For the hood, just trace a hood from one of the kids hooded sweatshirts and add a bit more to the top to make the "nose" of the animal. Cut two pieces for each hood and sew a seam a long the back. The faces I just cut out of fleece and pieced them together. The eyes are two buttons stacked together and sewed on. 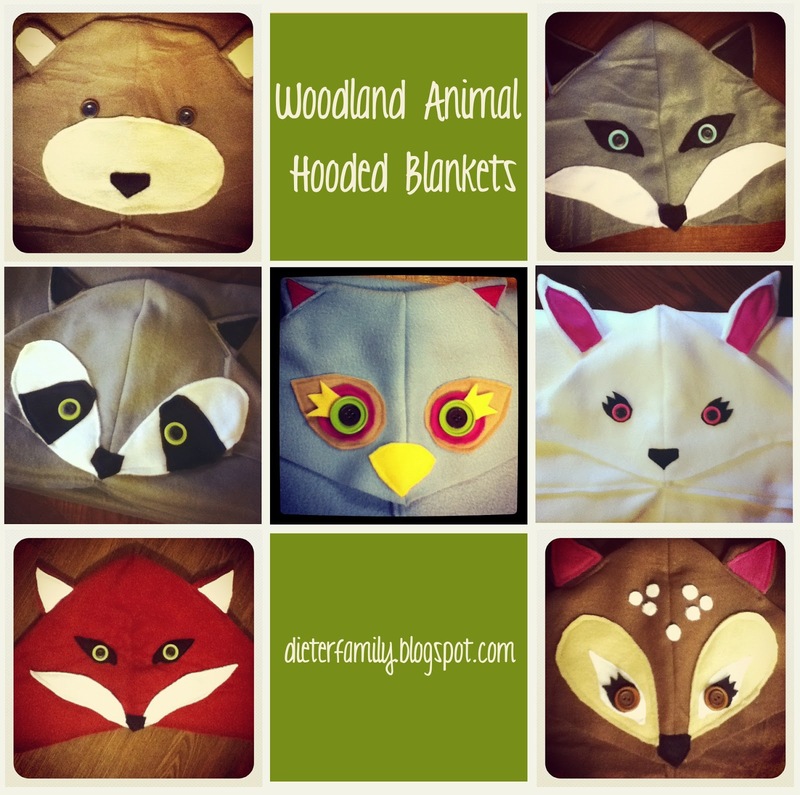 Sew the face pieces in place on the hoods and then attach the hood to the blanket, centered along the longer side, with straight stitch. (You can double stitch it if you wish) I cut blankets that were 50 inches by 40 inches. You can make them whatever animal or creature you wish. Just be creative!